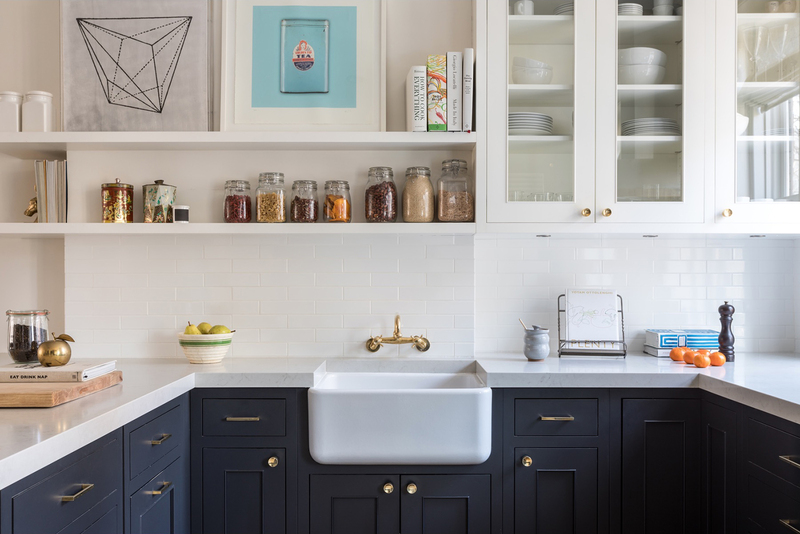 A gut renovation of the kitchen, including new floors and doors throughout both floors. Turning the master bathroom into en-suite bathroom, expanding a powder room, and re-configuring a powder room and laundry room on the first floor. 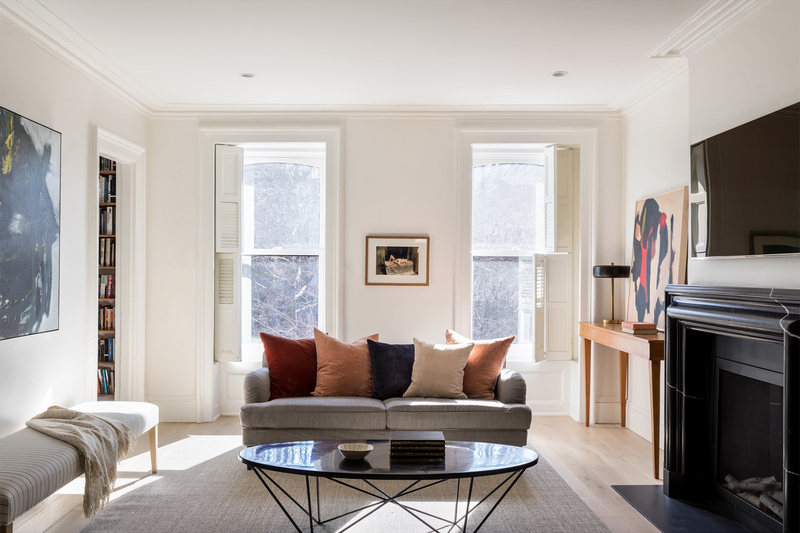 For a brownstone in Brooklyn, take an old, historic home from the late 1800s, and within the existing structure, give the space new life, light and charm. Clients are planning to build a roof deck and garden on the roof of the house. Framing created for stairway and roof, making the space ready for the next step, which will give the homeowners a spectacular view of Manhattan. Installed a custom kitchen from Waterfront Kitchens. Imported oak from France for new floors, and mahogany doors for the entrance, new doors throughout with antique hardware. Re-created a post for the second floor stairway to match the antique one on the first floor, and gave it a “vintage” feel. Wallpapered the powder room in a special pattern key to the homeowners vision. Expanded the master bath, using an old coffer bathtub that already existing in the home. In a former powder room, doubled the size and turned it into a full bath by adding a shower.